Welcome to episode 706 of The Solopreneur Hour! I love episodes like today’s when I get to speak to not just one guest, but two. And today’s duo is even better: they are a married couple who now run a super successful online business helping other couples do the same. Shane and Jocelyn Sams of Flipped Lifestyle are here to chat about what it’s like to run a business together, what led them to create their brand and what’s next. 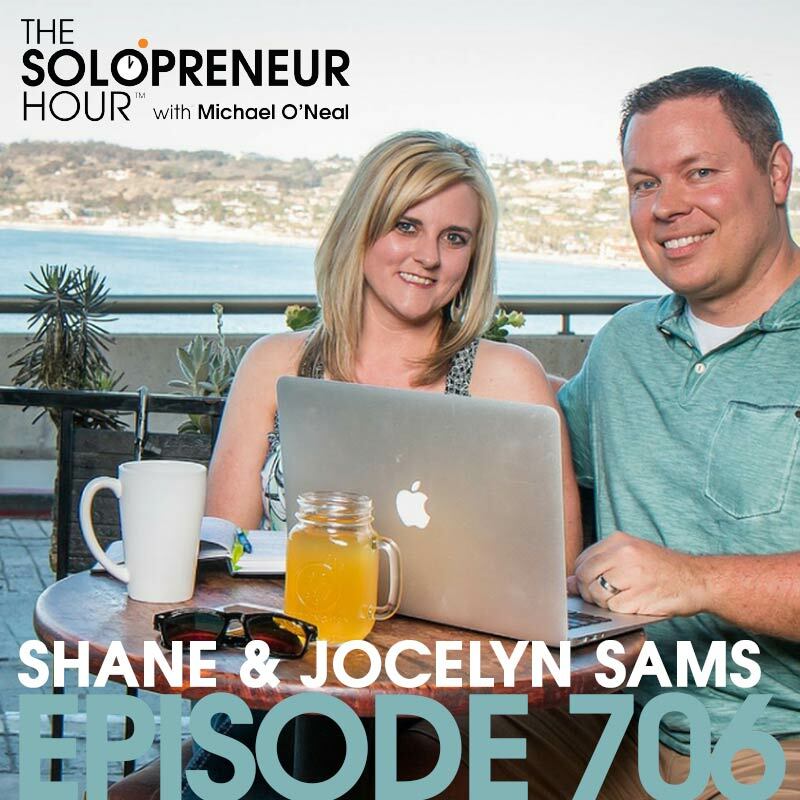 All of that and more on episode 706 of The Solopreneur Hour. From the mountains of Kentucky, Shane and Jocelyn Sams have built an empire with digital products. But neither of them started out as entrepreneurs; in fact, it took a bit of proof to get Jocelyn on board! When they first struck out into the online marketing world they were both working full-time and raising their son (they have since had a daughter). Shane found podcasts and listened to one of Pat Flynn’s Smart Passive Income episodes. He thought he had struck gold, Jocelyn wasn’t so sure until one of Shane’s AdWords accounts started making some money. It wasn’t much, but it was enough to pique her interest. 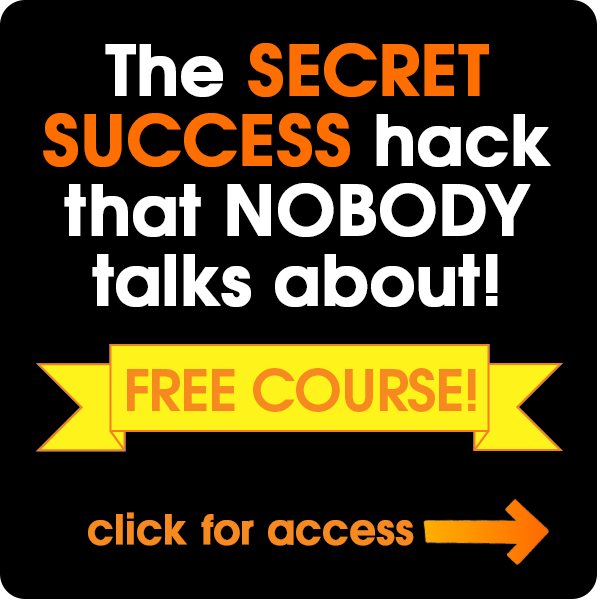 Until that point Shane had been learning about and trying numerous strategies to make money online. But Jocelyn initially focused on digital products and used what she already knew, lesson plans, to build a business. That simple strategy paid off for them; today they run several businesses together and earn multiple six figures annually. Does Shane miss coaching at all? What is an 11 cent moment and why is it important? The most common reason people fail. 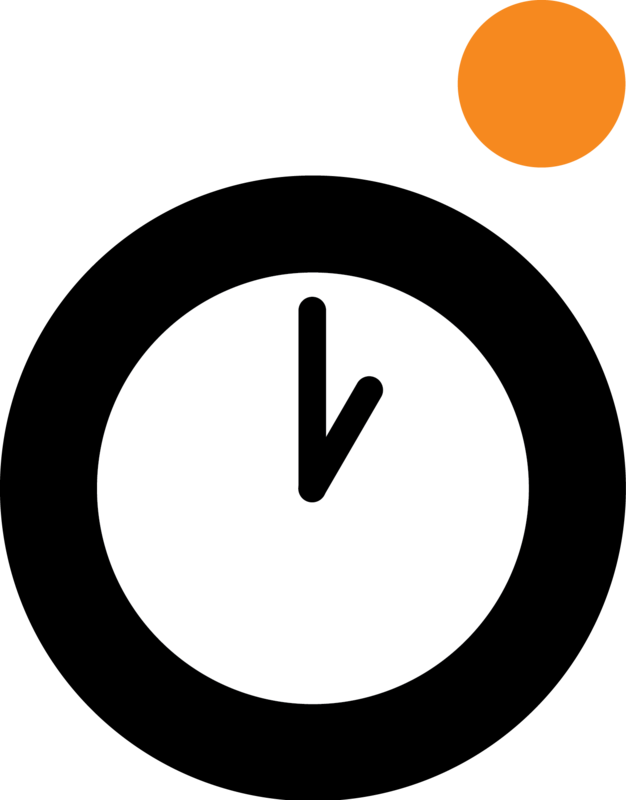 What is the 168-hour calendar and how does it apply to business? What book changed Shane’s life? The secret to their success is a simple formula they now teach other families with their flipped lifestyle business. That simple formula is this: take what you know, find an audience, find out what they need and create a product for them. Build a web site, get a payment button on it and go. It doesn’t have to be perfect, it just needs to be good and it needs to help your audience. Using that formula for themselves and for their audience, their success blossomed. Initially they were selling a thousand dollars’ worth of products, then it became five figures a month, then six. It didn’t take long for them to leave their jobs (Shane was a history teacher and a football coach, Jocelyn was a librarian), and work from home together full-time. And that brought with it its own set of challenges. They learned how to prioritize their time, and how to work together and stay sane! To stay sane they simply take time apart. They may go to the gym together but Jocelyn will go to a class while Shane hits the weights. Jocelyn might run with friends, and Shane makes time for playing his X-Box with his brother. One of the key points they also share on today’s show is the 168-hour calendar. We all have 168 hours in a week, it’s the same for every single person on the planet. Shane and Jocelyn decided to map out what they do with their 168 hours. Using accounting paper with a grid on it containing 168 squares, they filled in each square with how they spent their time. They looked for places they could stop doing less productive things and add business-building time instead. While they were both still working full-time jobs they gave up cable TV and replaced that time with business activities and their family. It helped them leave those jobs, and it’s a technique they still use today. On today’s episode they share the impact this technique has had for them, their clients as well as the most common reason they see people fail with an online business and how they handled the logistics of being away at Tropical Think Tank for 8 days! There are great lessons in all they share today so download the episode for the details! Thanks for being here and we’ll see you next time on The Solopreneur Hour. QUESTIONS OF THE DAY: What was the first product you sold online? If you don’t have one yet, what will be your first product?